Larke Peak (Larkya Peak) Climbing Trip is an incredible alpine adventure in the Manaslu region of the Himalaya. 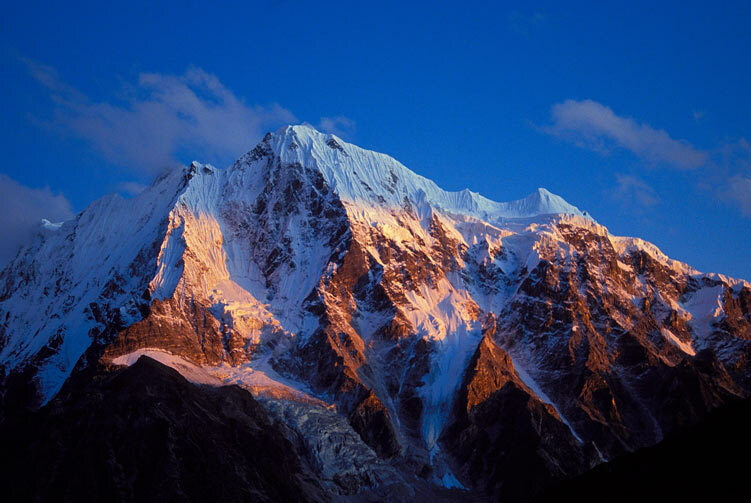 Larke peak that towers 6,249 meters high above sea level lies in the Manaslu range. 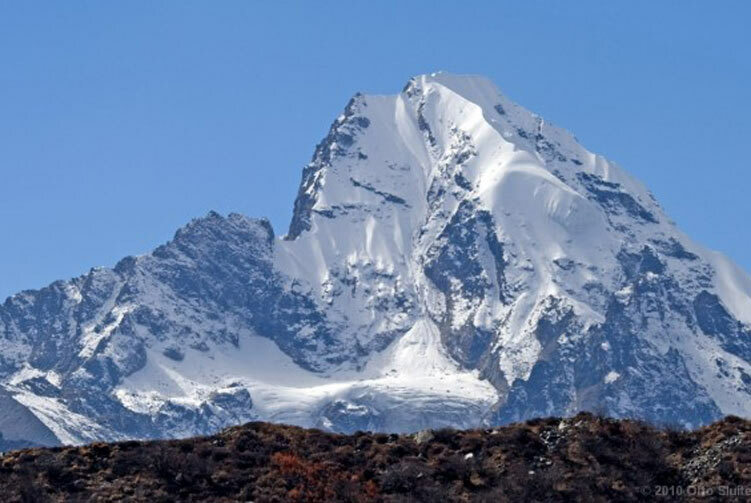 This trip traverses the Manaslu Circuit Trekking route and goes a little detour to climb the impressive Larke Peak and comes back again on the trail to complete the circuit. You can enjoy wonderful cultural riche of the region enhanced more by the stunning mountain views along the trail. When, finally, it reaches the base camp of the peak, the real climbing thrill begins. The trekking thrill matches the climbing thrill. You reach the summit of this peak after some beautiful yet challenging adventurous struggle up the mountain. 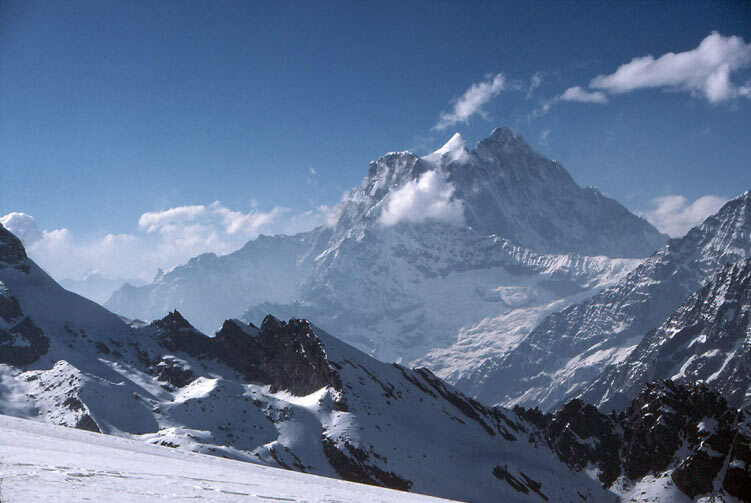 Climbing Larke peak is another wonderful alpine adventure in the Himalayas of Nepal. After the climbing feat finishes, you go over the famous Larke La Pass in the Manaslu Circuit trail to trek back. The route leads you towards the Marshyangdi valley and you finish the trek at Besisahar along the Annapurna Circuit route. This beautiful alpine adventure is an incredible mixture of adventure, culture and nature in the Manaslu region and Marshyangdi Valley. Make this your dream adventure trip and feel it yourself coming true. After a full day of cultural exploration in Kathmandu, we are ready to move outside Kathmandu valley today. We are driving to Soti Khola, about 140 km northwest of Kathmandu. Our drive takes us through beautiful rural environment where we can see the nature, rural life style and snow-capped mountains at distance. After driving about half way, we cross River Trishuli and drive towards the destination via Arughat bazar in Gorkha district. We reach Soti Khola and laze around the small village waiting for our trek to start tomorrow. We are embarking on the first day of trekking journey today. Our trek takes us to Machha Khola for overnight stay. We follow the trail along the Budhi Gandaki valley and trek towards the destination. This very first day of trek introduces us with beautiful villages that we trek past, wonderful natural atmosphere along the trail and incredibly peaceful environment of the rural Nepal. We eventually reach Machha Khola trekking past Labu Besi to stay overnight. We wake up for a peaceful morning at Machha Khola and prepare to trek to Jagat as our destination today. Another beautiful trekking day has many wonderful things to offer us along the way. We trek past Khorla Besi, Tatopani and eventually reach Jagat for overnight stay. Trekking along these wonderful places will slowly bring us closer to the rural atmosphere. We get some understanding of the rural life style and culture that we are going to experience for few days in the mountains. We trek to Deng today after breakfast early in the morning. We trek past the beautiful Gurung village of Philim crossing Sirdibas and continue trekking towards Deng as our destination for the day. We walk past Ekle Bhatti and then cross Budhi Gandaki river over a suspension bridge and head towards Deng village. Our walk for the day goes via beautiful and solitary gorges; crosses rivers and brings enticing views to our sight before reaching the destination. On our trekking adventure along the Manaslu Circuit trail, we are trekking to Namrung village today. As we trek higher, more we feel the influence of Buddhist culture and change in life style. On the walk to Namrung today, we are going walk past scenic views of beautiful nature, view of Sringi Himal, and many other wonderful things along the way. Walking past densely forested area, crossing Budhi Gandaki Rive and enjoying the beautiful day walk, we finally reach Namrung village for overnight stay. The trail from Namrung to Lho village has wonderful things to our sight. While we trek along the stretch we can enjoy the view of mountains like Siringi, Ganesh and Himal Chuli etc. As we are covering shorter distance, we can take our time along the trail to make the pace and enjoy the trail to its most. When we reach Lho village, a spectacular Himalayan view welcomes us there. We can laze around Lho and exploit the beauty present there. Our destination for the day is Sama Gaun. The trail goes through such beautiful areas that provide captivating mountain views. We trek past Shyala village with the view of Peak 29, Himal Chuli, Manaslu, a glacier and many other mountains to captivate our attention. We move further ahead towards Sama Gaun where we stay our overnight today. As we are already at the elevation of about 3,400 meters above sea level, and going even further higher up, we need a good full day here to acclimatize and prepare ourselves to go higher. We go for Sama Gaun exploration and hiking trip around to help adjust with the climate. On our full day excursion in and around Sama Gaun, we will come to learn about the Buddhist culture prevalent here and also scenic views to make our day wonderful. After spending a full day acclimatizing at Sama Gaun, we are now ready to trek higher. We are trekking to Samdo after breakfast today. We follow the trail that descends to Budhi Gandaki River and follow the trail that goes to Larke La while the other one goes towards Manaslu Base Camp. Walking through a forested area on the river valley, we finally reach Samdo village to stay overnight. We get ready for the trek of the day that takes us to the base camp of Larke peak today. The trail passes through rough, rocky terrain and winds up and down the mountains. Although the walk feels challenging, the view of surroundings eases the challenge and we reach the base camp that stands at the elevation of 5,134 meters above sea level. 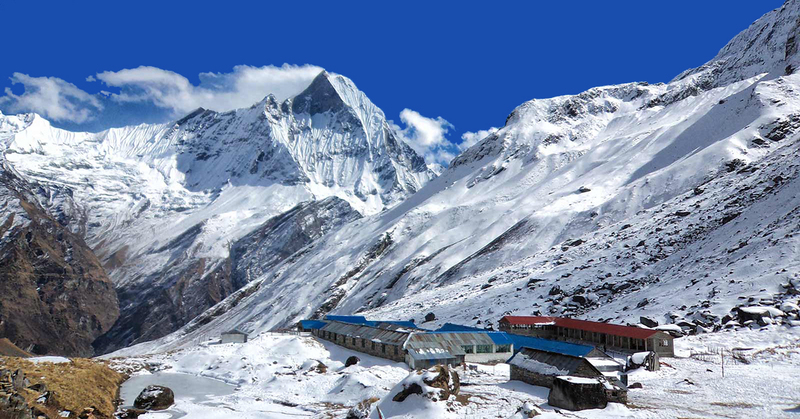 The trail to base camp passes through Larke Phedi that comes along the Manaslu Circuit Trekking route. It is the day that we trek higher up to the high camp. 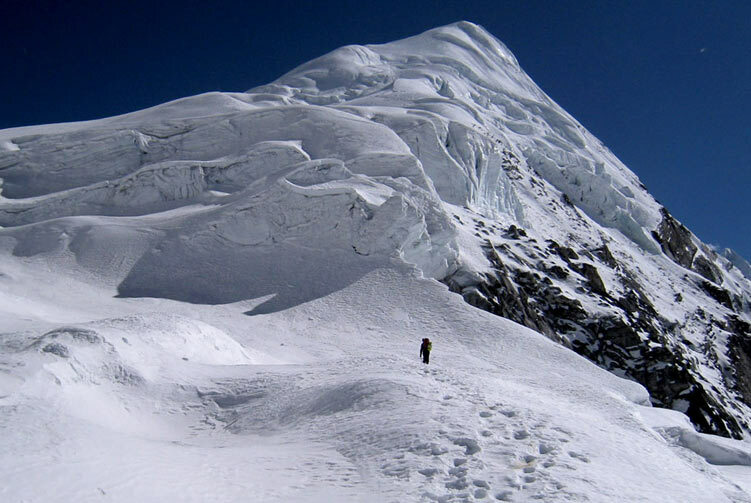 Many adventurers attempt the summit even from the base camp but, to shorten the climbing route and ease the challenge, we stop overnight at the high camp that will prepare us for the higher climbing. We take easy time relaxing at the high camp and enjoying the breathtaking view and breathing fresh mountain air. We are going to attempt the summit today thus this day is the highlight of this trip. Our adventure begins early in the morning towards the summit of this beautiful 6,249 meters high mountain peak. The thrilling adventure filled with several alpine challenges is worth as we reach the top to inhale stunning view of towering mountains around. The moments we spend at the top become special with some clicks of pictures and, of course, with the spectacular view. Later, we descend all the way back to the base camp carrying only the fond memories and pictures of the adventure. On our trek today, we are going to trek over a high mountain pass called Larke La that stands at the elevation of 5,160 meters above sea level. 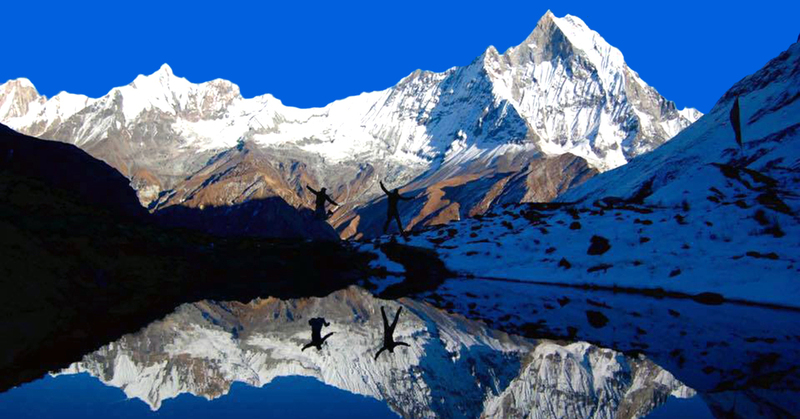 We start the trek early in the morning and trek down to Larke Phedi and on an uphill challenge towards the pass. After a good deal of struggling on the uphill walk, we reach Larke La pass to be welcomed by captivating views of the Himalayan peaks. We spend a few minutes at the pass to enjoy the surroundings and take pictures. Later, we descend all the way to Bimthang to stay overnight. After walking over the high mountain pass, we are now descending towards the lower elevation. The trek today takes us to Tilije to stay overnight. This beautiful day brings us some incredible views of mountain peaks like Lamjung Himal, Mansalu, Himlung Himal etc. It�s a wonderful mixture of views and nature that we experience on our trek today. We will have some time to laze around Tilije once we reach there. 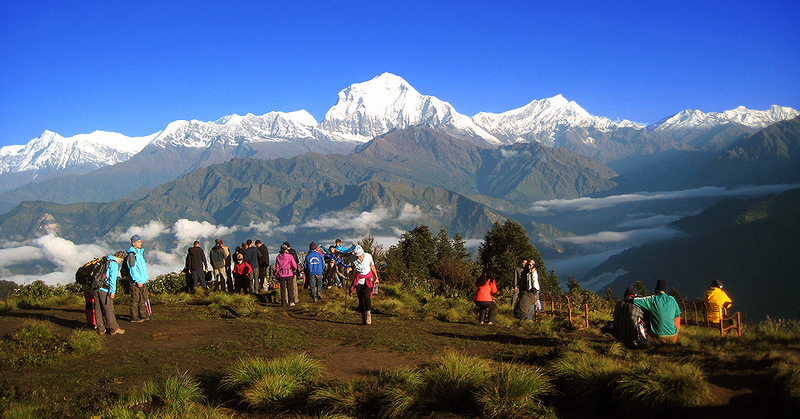 When we reach Dharapani on our trek today, we meet the Annapurna Circuit trekking trail. 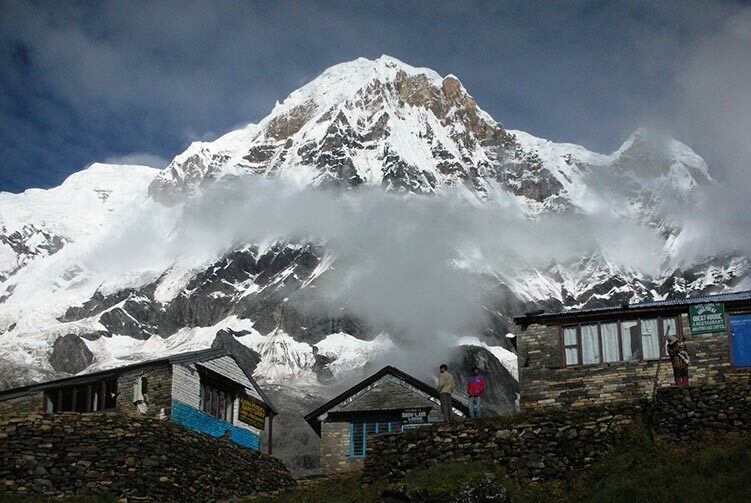 We reach Thonje village to check out the Manaslu Circuit trekking and walk further to Dharapani to stay overnight. 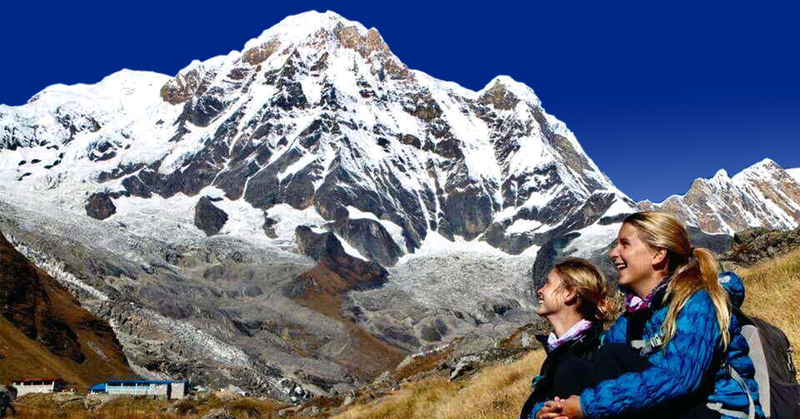 When we reach Dharapani, we can meet trekkers adventuring on the Annapurna circuit trekking trail. We can wander around for a while once we reach our overnight destination for the day. We are going to bring our trekking journey to the end today. When we reach Besi Sahar today, we will be completing the last leg of our trekking journey. It is an easy day of trekking that goes past beautiful villages of Tal, Jagat, Bahundanda etc. before reaching Besi Sahar. Once we reach Besi Sahar, we can take some leisurely time to explore around this beautiful town that is the headquarters of Lamjung district. We relax and celebrate the completion of the trek. We get ready for a beautiful drive back to Kathmandu that will take us more or less five hours. We meet the Prithvi highway at Dumre bazar and continue along towards Kathmandu. Once we are in Kathmandu, we go to hotel and spend the whole day at leisure on our own. Finding relieving massage, good food, souvenir shopping, and wandering around can keep you busy for the day. Transportation from Kathmandu-Soti Khola, Besi Shar-Kathmandu by Local Bus. Accommodation in Tented Camp while on Larke Peak Climbing. 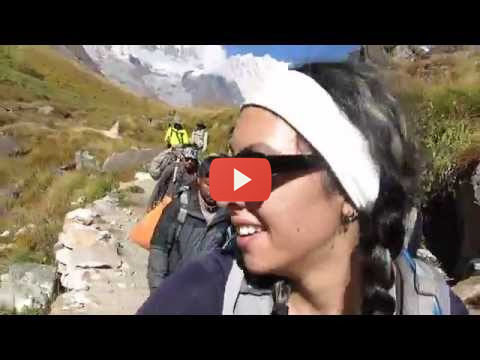 Larke Peak Climbing permits, TIMS Card fees, and Langtang Conservation Area entrance fees. Larke Peak Climbing group climbing gear, climbing rope, snow bars & carabineers etc. 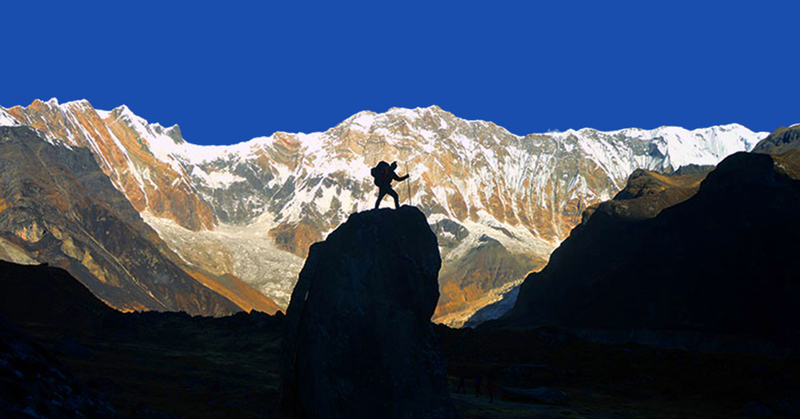 The above Climbing Expedition Itinerary is a guideline and standard pattern. This Climbing Expedition can be modified according to your time and requirements. Cost & Departures Dates of Climbing Expedition will change according to your NEED, GROUP SIZE and TIME. The Climbing Expedition Itinerary may be changed after understanding by both agency and client. Additional activities could be added or reduce as per client's request before confirming the trip. Price for reduced Climbing Expedition & Hiking activities could be deducted and additional activities could be added as per mutual understanding. The Climbing Expedition Cost also affect the number of Mountain Guides, Porters and Services. 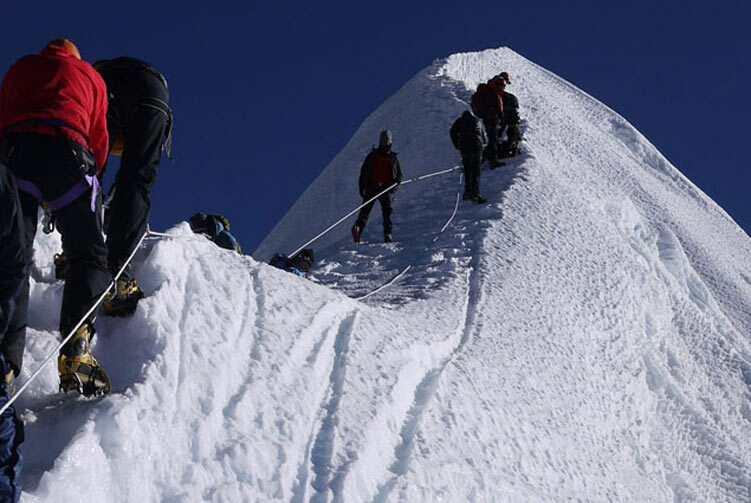 We offer you the best price guaranteed for Larke Peak Climbing Expedition. Larke Peak Climbing Route Map: Approx..